This project that aims at helping the Awá tribal people defend their lives, protect their lands and determine their own future, by raising global awareness of their current risk of extinction and catalysing the global concern into action. First discovered in the mid-1970s, 360 surviving members of the Awa tribe are currently in contact with the outside world, with a further 60-100 believed to be taking refuge in the forests. They are hunter-gatherers, relying solely on the Amazon as a food source. The tribe utilizes products of the forest in their day-to-day life, using palm leaves to make shelters, clothing and baby carriers, resin from trees to make fires and plants to cure a number of illnesses. The theft of a tribal people’s land engenders destitution; once self-sufficient communities are forced to rely on food hand-outs; malnutrition and illness soar and life expectancy is drastically reduced. Furthermore, Awá people are sometimes imprisoned, attacked or murdered in order to get them off their land. In many ways, northeast Brazil is like the ‘Wild West’: a lawless frontier. There is a culture of impunity in which violence against the country’s indigenous and tribal peoples flourishes. The perpetrators know that they are unlikely to face justice. The axis of International Survival’s campaign for the Awá Tribe therefore rests on placing significant pressure on the government that it feels it must act, in the deep belief that changing public attitudes contributes significantly to changing government attitudes. Survival strongly believes that tribal peoples such as the Awá must be allowed to speak for themselves. Their own experience is the most persuasive testimony in their defence – that is why governments strive to deny them their voice. Through the submitted project Survival International aims at breaking this silence by helping them take their message to the outside world. Its work is rooted in direct contact with the tribe. Although the Awá’s territory has been demarcated, the Awá are at threat from loggers, settlers and ranchers that are illegally entering and occupying their land. Survival International is now campaigning for the Brazilian government to ensure that the boundaries of the Awá’s lands are respected, and to remove invaders as a matter of urgency. As one of the last remaining nomadic hunter-gatherer peoples of the Amazon, the Awá will not survive without their forest. Survival International will target the Brazilian Minister of Justice to send federal police and provide funding to local police to remove invaders. This will be achieved by a sustained public campaign aimed at pressuring the Minister into action. A letter writing campaign, a submission to the Inter American Court on Human Rights, a variety of public demonstrations, actions and protests as well as targeted press coverage will bring international attention to the plight of the Awá. The project foresees a short field trip to meet the Awá and investigate what the situation is on the ground. A short ‘update’ video on the Awà problems to be circulated worldwide also through the Internet is planned. The anticipated outcome is that invaders be removed from Awá land. Through the submitted project Survival International aims at breaking the silence by helping Awà take their message to the outside world. 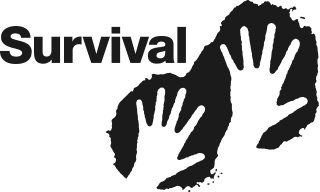 Survival International is the only organization working for tribal peoples’ rights worldwide. It works with hundreds of tribal communities and organizations and is funded almost entirely by concerned members of the public and some foundations. Survival will not take national government money, because governments are the main violators of tribal peoples’ rights, nor will it takes money from companies which might be abusing tribal peoples. About 250,000 supporters from nearly 100 countries have helped Survival International financially; millions now routinely seek our information, published in seven languages. Survival vision is for a world where tribal peoples are recognized and respected; an end to the unjust treatment tribal peoples are subjected to; and a world where tribal peoples are free to live on their own lands, safe from violence, oppression and exploitation. All countries must support and uphold, as minimum standards, the UN Declaration on the Rights of Indigenous Peoples, as well as ratify and apply the Indigenous & Tribal Peoples Convention (ILO 169). All companies and organizations operating in tribal areas must adopt, as a formal and binding policy, the commitment that they will take no action without the free, prior and informed consent of the tribal people. This also applies to conservation organizations. Survival International stresses that this consent can never be free and informed unless the tribal people are clearly told, at the beginning of any talks, that they have the right to withhold their agreement without facing negative repercussions. Companies should not operate in tribal areas without first having clear, written, binding agreements, agreed only after the tribal people have obtained independent expert advice. Survival International produces suggested texts for such agreements, drafted by experts. Survival International believes there should be no incursions into the lands of tribes who have no peaceful contact with outsiders, as they cannot give their informed consent. dates back over three decades. It campaigned for the recognition of Awá land rights and for their territory to be demarcated, when the discovery of iron ore on their land, and the consequent Great Carajás Project of the 1980s put their future in jeopardy. The Awá indigenous territories were later created.